Your tenant falls asleep with the stove on and catches the house on fire. If your tenant has renters insurance, his/her policy may respond and pay out due to his/her negligence. If there is no renters policy in place, you as the landlord would be completely responsible for the damages and could eventually face adverse underwriting action on your policy, even though the accident was not your fault. Your tenant hosts a gathering and drinks spill, causing the floor to become slippery. A guest of the tenant slips and falls. If your tenant has a renters policy, coverage will likely be available to pay for his/her liability to the guest. Without a renters policy, you could face having to pay for the guest’s damages. Just as we see with complex commercial accounts, the landlord-tenant relationship should have appropriate risk transfer in place. You should require your tenants to have renters insurance and additional insured status on the policy ensuring that your tenant’s insurance policy can protect you if you are dragged into a claim that another insurance policy should potentially cover. Lastly, be sure to ask the renter for a copy of their declarations pages each year. This proof of insurance will help to make sure that they are keeping the appropriate coverage in place and are compliant with the terms of your lease. 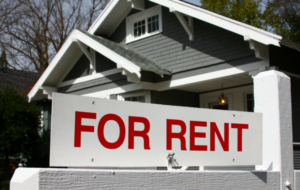 Owning rental properties is a business and should be treated as such; don’t risk your business over situations that should be insured by your tenants. Have questions on the coverage considerations that accompany rental property ownership? Our agents are here to help. Give us a call at 603-882-2766 or email us at info@eatonberube.com. Copyright © 2017 Central Mutual Insurance Company. All rights reserved.